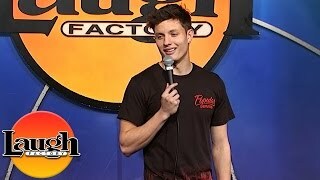 Matt Rife is an American comedian and actor, born and raised in Columbus, Ohio. Now living in Los Angeles, Matt is best known for his three seasons of WILD N OUT, as well as Co-Hosting TRL on MTV. He also appeared on MTV’s The Challenge “Champs vs. Stars." Now at the age of 23, he is the youngest regular male performer at the World Famous Laugh Factory in Hollywood. Also the youngest comedian to get a standing ovation on BET Comic View when he was just 17. Matt has traveled the world, touring with some of the biggest names in comedy; Dane Cook, Mike Epps, DeRay Davis, Ralphie May, and Russell Peters!